As you cross the San Diego-Coronado Bridge going into San Diego you can see warships lining the piers of Naval Base San Diego to the south; among them is USS Makin Island, LHD-8 led by Commanding Officer Captain Chris Westphal. Westphal, a native of Albuquerque, New Mexico and a University of Arizona Alumni, assumed command on March 15 after serving as the ship’s XO for 17 months. 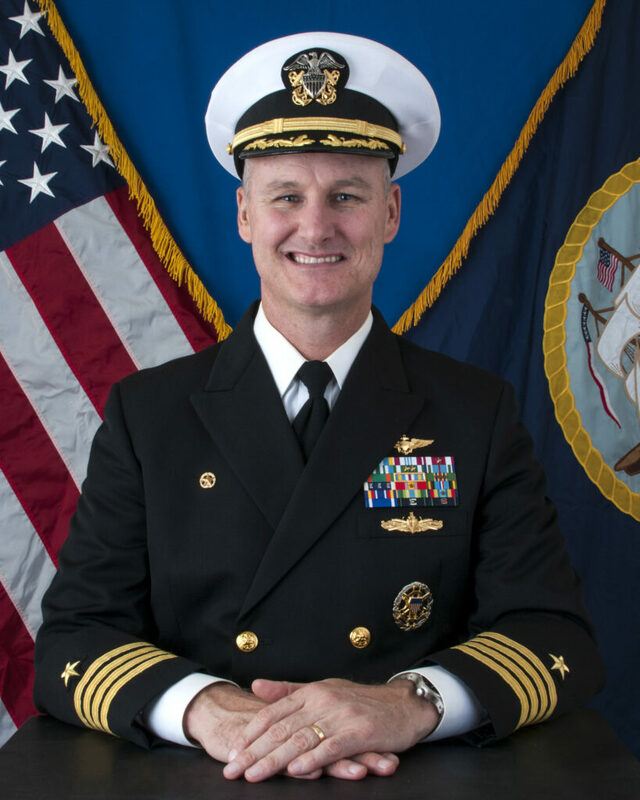 During his 25 year naval career CAPT Westphal has been a resident of Coronado twice, the first time while he commanded the WolfPack of Helicopter Maritime Strike Squadron (HSM) 75, and during this current assignment where he lives on board NAS North Island in base housing. Makin Island was commissioned in Coronado on October 24, 2009 where more than 5,000 family, friends, distinguished guests and crew members witnessed the official commissioning ceremony. The eighth and final Wasp Class Landing, Helicopter, Dock (LHD) amphibious assault ship, Makin Island is sometimes known as the “Green Ship” as it is the only one built with gas turbine engines and electric drive. The Navy projects that this advance will save nearly $250 million in fuel costs over the ship’s lifetime. 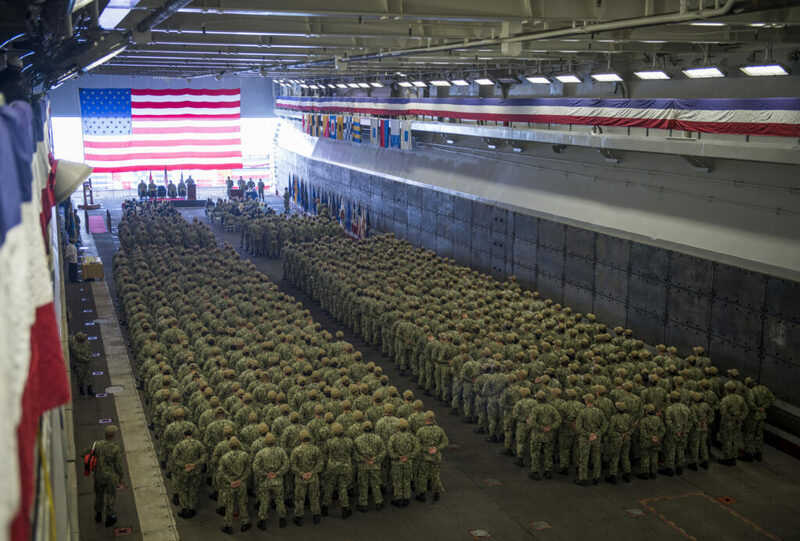 According to the Navy, during the ship’s transit from Pascagoula, Miss., to San Diego, Makin Island consumed over 900,000 gallons less fuel than a steam ship completing the same transit, saving more than $2 million in fuel costs. The ship also has use of an electric plant to power auxiliaries, meaning no steam or associated chemicals; and the use of reverse osmosis water purification systems that negate the need for chemicals like bromine or chlorine. When asked where his favorite duty station was, Westphal shared that he loved living in Hawaii, particularly the time he was a department head in HSL-37. But he also shared that San Diego is a special place and that Coronado is a “special place within a special place.” He said, “Even though I’ve only lived here twice, when I fly into San Diego and look out the left windows seeing the Coronado Bridge and San Diego, it feels like coming home.” The Westphal family loves being part of the Coronado community, with their three kids actively involved in the Middle School and High School. Their oldest son Jack, a junior at Coronado High loves basketball and enjoyed his time with the water polo team. Megan, a freshman, is a member of three cheer teams including the High School Cheerleading Squad, and Katy, a 7th grader at Coronado Middle School is an avid water polo player. 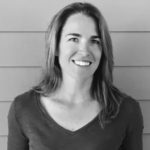 Westphal and his wife Kristin enjoy the small town feel and their favorite spots to eat are either Wine a Bit or Burger Lounge, depending on the mood. 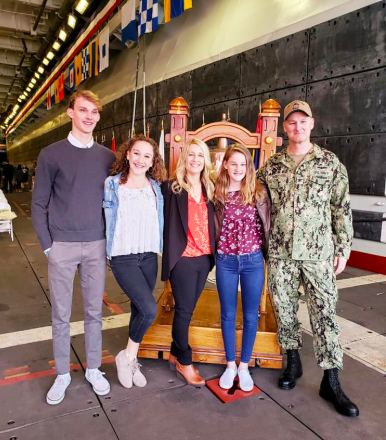 Kristin, also a University of Arizona graduate and a lawyer by trade, works part time at a law firm downtown and full time taking care of the family so Chris can focus on Commanding Makin Island. Westphal has the difficult task of finishing up a maintenance availability on the ship as they get ready to get her back to sea. He shared, “My favorite part of command is interacting with the crew, they are the salt of the earth, hard-working Sailors making real stuff happen, making the ship run, fixing things from compressors to engines, they impress me every day.” When they begin training and preparing for deployment, the Makin Island well decks will be filled and they will embark part of a Marine Air Combat Element that will fill its flight deck. The Marine ACE will be split between the ships that deploy as part of the Amphibious Readiness Group. 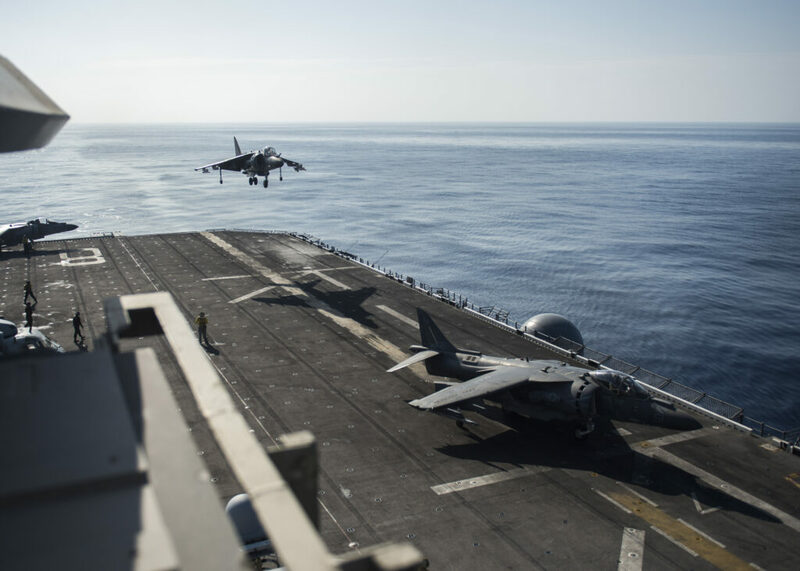 Makin Island is expected to deploy with the Marine’s F-35B Lightening II aircraft, MV-22 Osprey’s, MH-53 Super Stallion helicopters and Navy MH-60S KnightHawks. 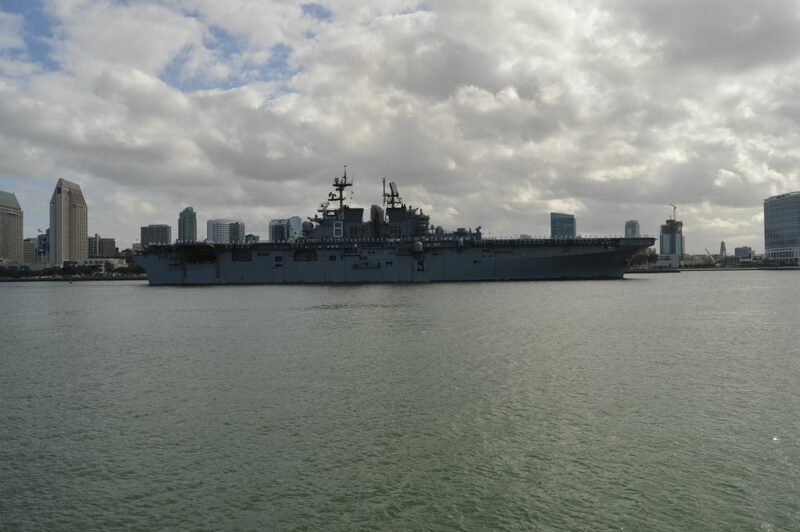 Makin Island is an amphibious assault ship capable of utilizing surface and air assets to move Marine forces ashore. The ship is named in honor of the daring World War II raid carried out by Marine Raider Companies A and B, Second Raider Battalion, on Japanese held Makin Island Aug. 17-18, 1942. For more information about USS Makin Island, visit her website.